CMS DesktopLink is an enterprise web-based application that centralizes your desktop shipping. 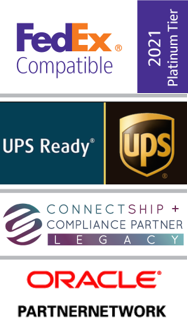 Integrated with CMS WorldLinkTM, it allows anyone in your company to easily rate, create shipping and mailing requests, and track packages right from their desktops. All that is required to access CMS DesktopLink is a PC connected to the LAN/WAN running Microsoft®’s Internet Explorer. As a multi-carrier shipping solution, CMS DesktopLink eliminates the need for separate systems for each carrier, and since CMS DesktopLink allows you to rate shop for each shipment, you can be assured of getting the best rate for the level of service required. For more information, please download our CMS DesktopLink data sheet or contact us with any question you may have about this CMS GlobalSoft desktop shipping product.